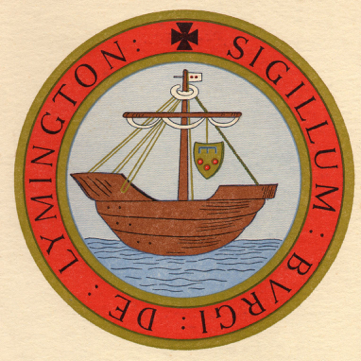 Lymington first appears in recorded history in an entry in Domesday Book, William the Conqueror’s great national survey. 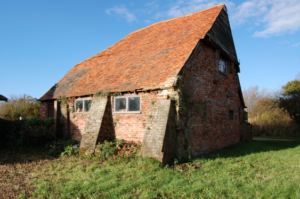 The record was set down on parchment in 1086 and states that a tiny agricultural settlement existed, location not clearly identified, on a site later known, through a variety of spellings as Lymington. 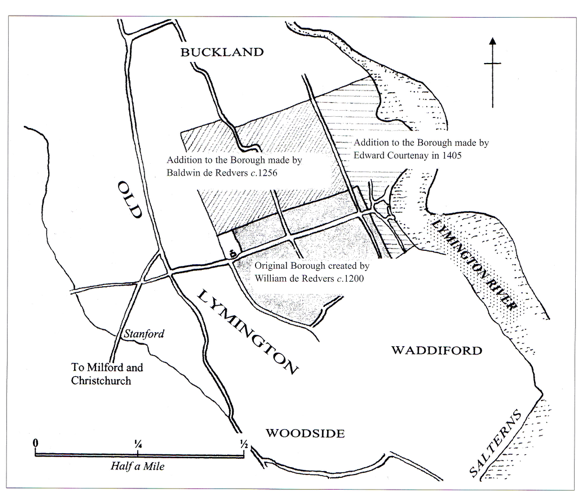 Additional information appears about 50 years after Domesday preserved in the records of the Augustinian canons of Christchurch, which state that the then king, Henry I, granted certain lands including Lymington to Richard de Redvers and these lands passed into the hands of his son, Baldwin de Redvers (died c.1155) and record that the church of Boldre with its chapel at Limneton were included. 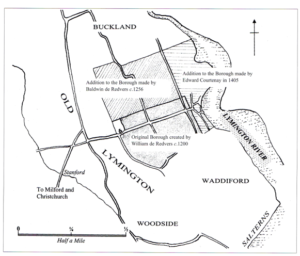 This same Baldwin a little afterwards granted to the possession of the Christchurch canons, ‘a virgate on his manor of Lymington.’ This is significant because for the first time in recorded history we have a documentary reference to the manor of Lymington. 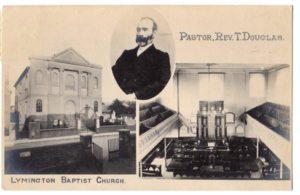 Unfortunately, its geographical location is not given, but what is evident is that there existed a community with a chapel in which to worship. It is the grant of a charter by Baldwin de Redvers, confirming those liberties, undated but around 1256-7, informing the world that ‘throughout his lands’ those who lived in the borough had the freedom to have all pleas pertaining to the earl held in the borough plus the freedom to elect their own reeve and burgesses all for an annual rent of 6d, hence we have good evidence of a populated and, seemingly flourishing, trading community which may be taken as the foundation of modern Lymington. 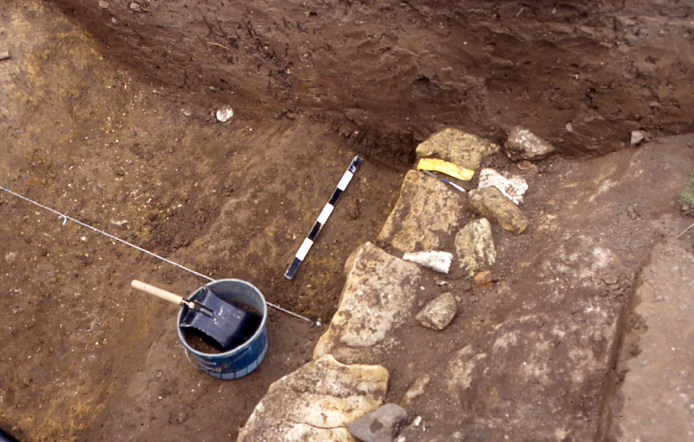 None of the documentary sources allow a precise location of the settlement to be given but the existing parish church of St Thomas may provide a clue as it contains a fragment of early 13th century pillar which suggests there was a church then existing to serve the community of the manor from at least that date and possibly rather earlier. 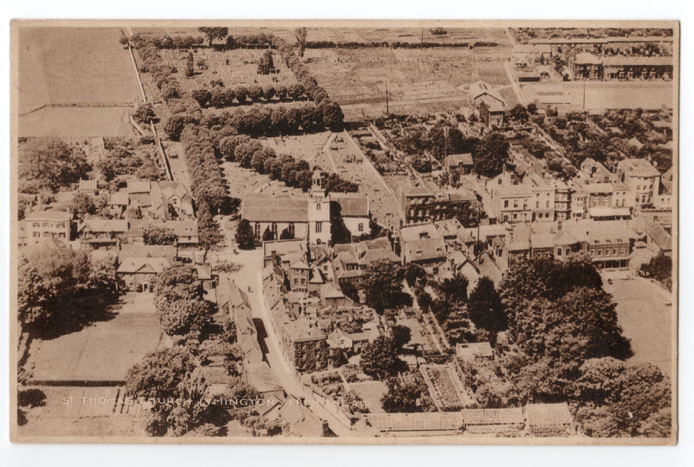 It is difficult to arrive at a convincing picture of the town’s morphology but it may be assumed that the area around the present day St Thomas Street, and the land running north and south of that was the original Lymington. Aerial view of St Thomas Church, looking north. 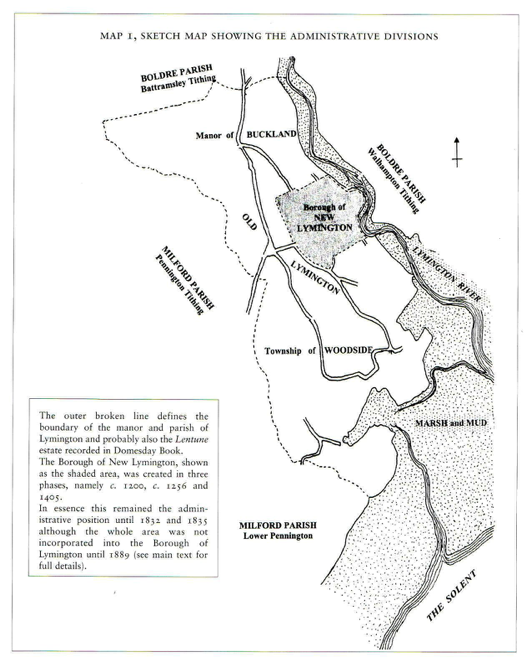 Equally, it is evident that the river is of major importance and it is almost a corollary of that settlement that a small maritime community surely must have been established on the western river bank in the area known today as the Quay. 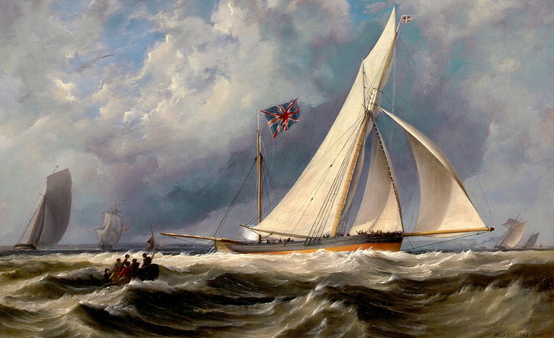 This would have served as the point of arrival and departure for the members of the Redvers family and their entourage when wishing to visit their extensive and important holdings in the Isle of Wight and, of course, it also provided the Lymington community with a base for the conduct of a maritime trade including fishing. 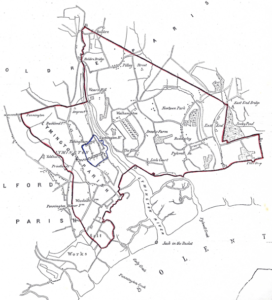 The best physical evidence we have for this is that the first borough charter gave the initiative and impetus for the creation of an urban settlement, centred on either side of a wide market street, which provided a valuable link between the agricultural settlement, immediately west of the church and the little urban enclave clustered around the Quay. 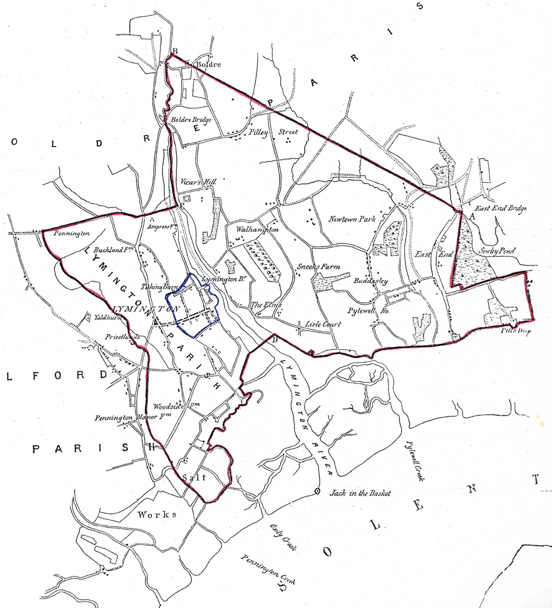 It seems clear that the boundaries of this borough were defined by a stone wall as a demarcation of its limits (evidence of this wall were uncovered in an archaeological excavation in 1996). This, with two later additions one to the north and the other to the east, incorporating the Quay area, became Nova Lemynton’ (known until the 19th century at ‘the 100 acres’). 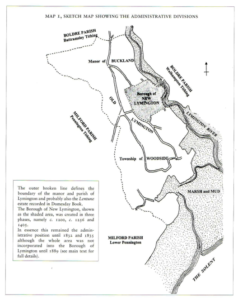 The remainder of the area, defined by the boundary of the ecclesiastical parish, became at the same time, Veteri Lemyntone, or Old Lymington. 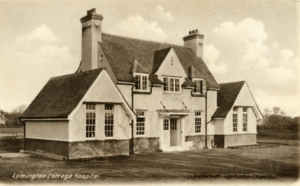 The tax known as the Lay Subsidy of 1327 lists the two separately, naming all the tax payers, and shows that the total sums collected were £3 3s. 3d. for New Lymington and £3 13s. 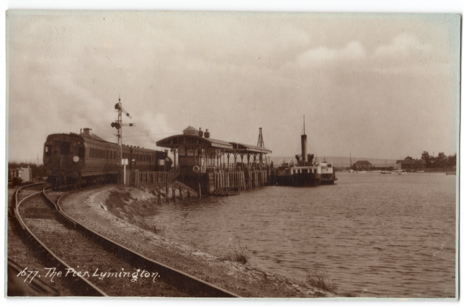 for Old Lymington. In 1584, in order to boost royal authority in parliament, Queen Elizabeth, created Lymington as a parliamentary borough, returning two members (it wasn’t the only one). The right of election was placed in the hands of the burgesses alone and the burgesses were elected by the existing burgesses, such an arrangement produced a self-selecting oligarchy which functioned until the passing of the Reform Act in 1832. 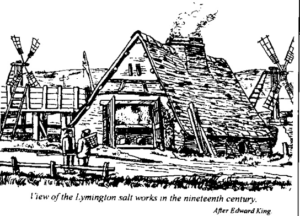 The burgesses didn’t have to come from Lymington and were chosen as ‘yes-men’ of influential landowning families who wished to exploit their position through control of parliament. This was the typical position throughout the country and Lymington was just a cog in the national picture. By the middle of the 18th century dissenting voices throughout the country were beginning to question the way they were being governed and after a long struggle the principle of widening the franchise was adopted so loosening the control of influential land-owning families, hence the eventual promotion of the Reform Bill (the first of three in the nineteenth century). 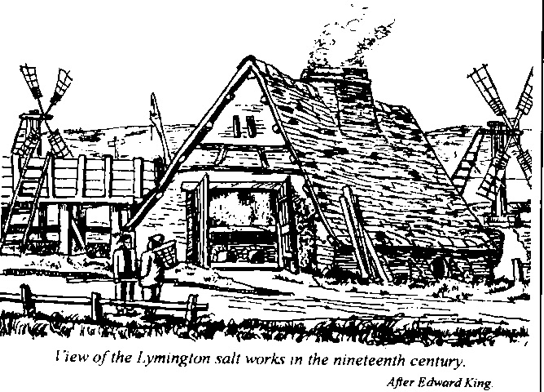 Lymington’s commercial importance rested very largely on domestic trade. It had been granted a weekly market in medieval times and enjoyed two fairs each year; the October one becoming renowned for cheese. The one great industry was that of producing salt by the evaporation of sea brine. This was carried out all along the marshlands abutting the Solent and, though fluctuating at times, remained an important industry well into the early years of the nineteenth century but becoming quite defunct by the middle of that century. Ship building had been conducted intermittently over the centuries but became a key industry in the early nineteenth century, developing particular expertise in yacht building which continues to the present time. 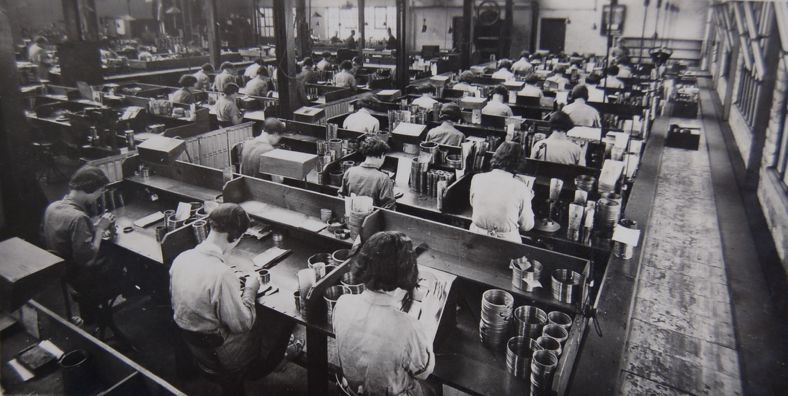 One industry arose unexpectedly in the early twentieth century with the arrival of John Howlett in 1912, whose initiative and drive led to the establishment of a piston ring factory by the end of the First World War followed by its wider development into producing a variety of automotive parts. 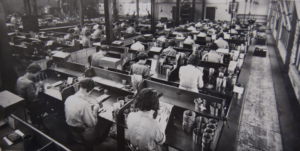 At its peak it was employing around 2500 workers, but was forced to close 1989. Lymington today is largely a service town and holiday centre being placed, as the old motto used to claim, ‘Twixt Sea and Forest.’ It lies in a favoured location, immediately south of the New Forest and abutted by a varied coastal littoral to its south with panoramic views of the Solent and the Isle of Wight.